Chris had decided to make home made Spritz cookies with Michelle and Jake. She sent Michelle a text asking if they wanted to have pizza and wine and after make cookies. It did not take long for Shell to text back “Absolutely!” Before they came over we wanted to stop and visit them at their apartment and to meet her new kitty “Skye” and to see their Christmas tree. Shell adores her new kitty. The tree was very nice and they had a few lights streaming throughout the apartment as well. 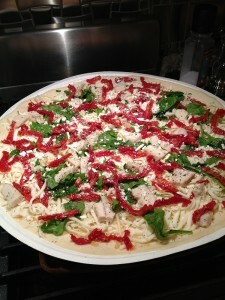 Chris and I left a little earlier so we could get home to fire up the stove and start the pizza’s. 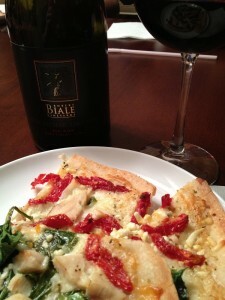 I ran down stairs to grab a bottle of wine that I thought would pair well with the flavors of the pizzas. We had bought an all meat pizza that the kids would like and also a thin crust Delight (chicken, sun dried tomatoes, feta cheese and spinach) from Papa Johns; and it was quite good! 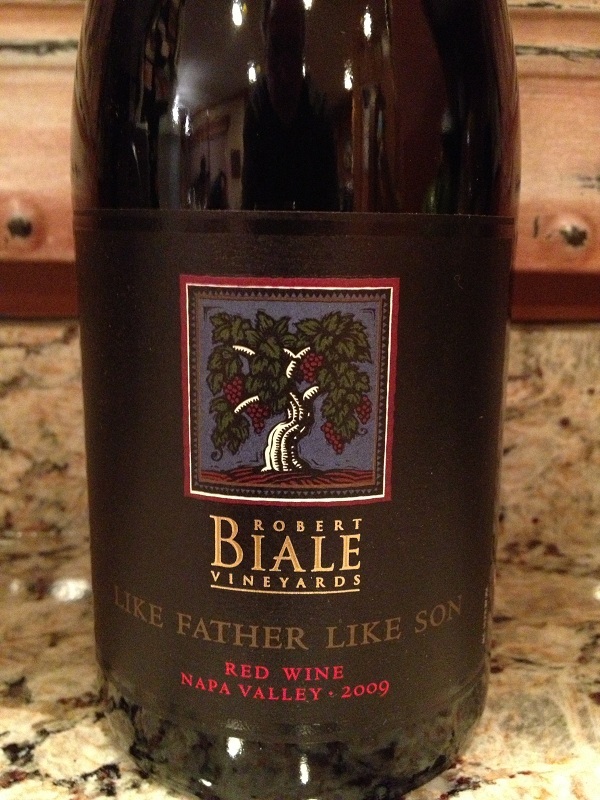 Looking at the choices I decided to grab a bottle of 2009 Robert Biale Red wine “Like Father Like Son”. 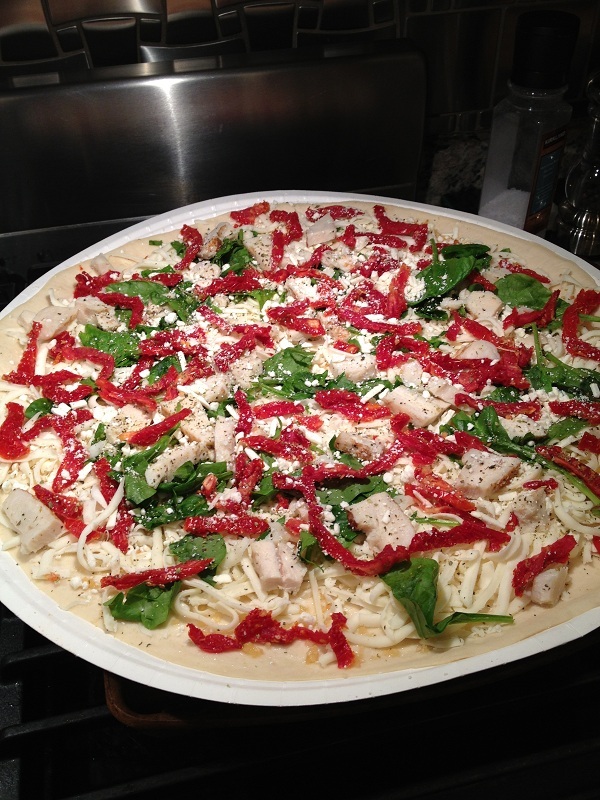 Before the pizzas were ready I grabbed my tasting notes and a cork screw. I pulled the cork and poured myself a glass and started taking my notes. The color of the Biale red wine was a dark purple. The depth was deep with no sediment in the glass while I did see a little sediment in the neck of the bottle. Very aromatic and fruity. I could smell spices, pepper and black fruit. The red wine was slightly dry. 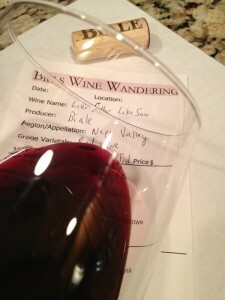 The tannins were not strong (mostly medium to light) and the acidity was nice. It was full bodied and very flavorful. I could taste dark fruit and the finish was long and nice. As the pizzas were cooking the girls started making the first batch of cookies. They needed a little time to sit, so we ate our pizza. 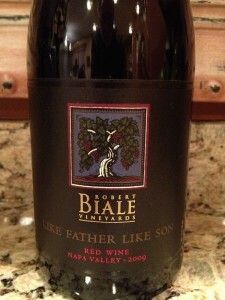 We rated the 2009 Like Father Like Son Red wine four glasses.